We’ve been to the Kelpies quite a few times now. 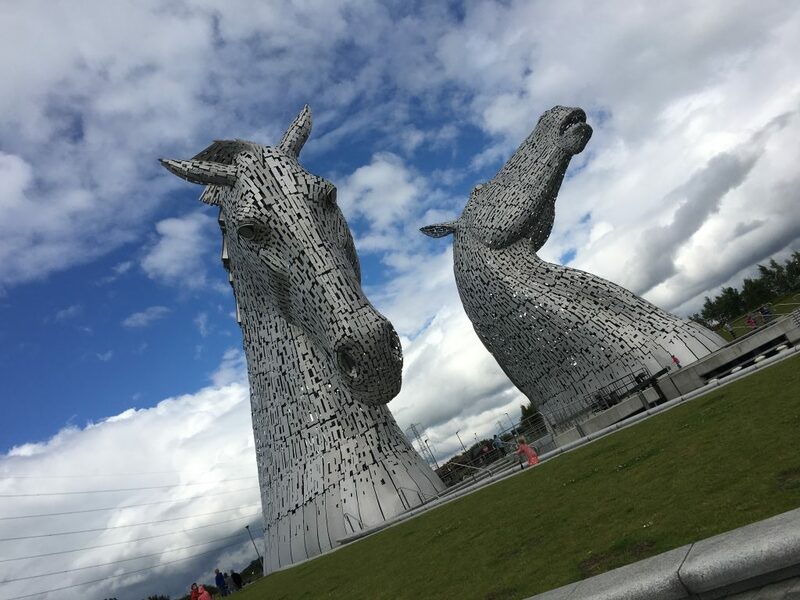 We only went for the first time last summer (I know – I hadn’t seen the Kelpies at all until last summer!!!) but I keep taking the kids back. My husband keeps saying he doesn’t know why I like it so much, so let me tell you. Those big metal beasts are absolutely stunning. I mean really stunning. Admittedly I’ve only ever been when the sun has been shining bright, but they really are something to behold. I get that “wow” feeling every time I see them. I’m not sure the little lady or baby boy have the same experience but one day they’ll appreciate big metal horses I’m sure. 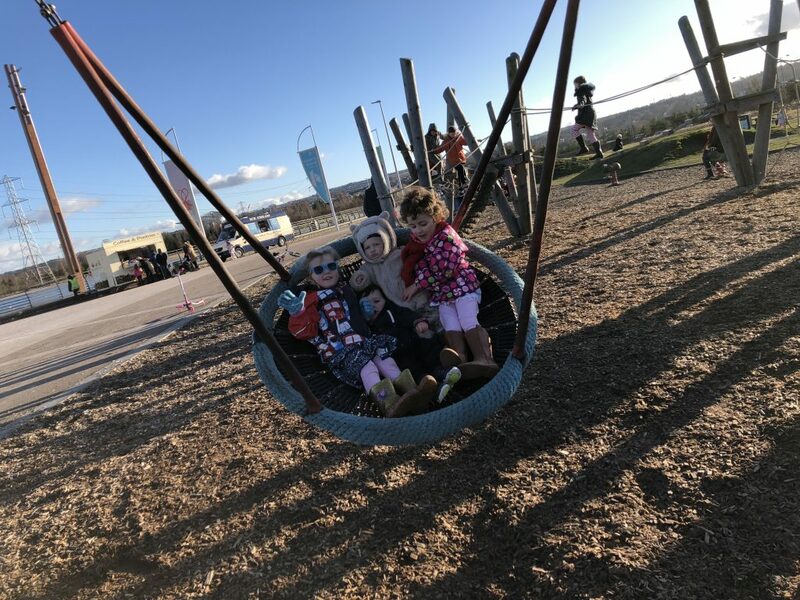 The things they do absolutely love are walking along the walls and playing on the grass and walking across the locks and looking in the water and trying to make echoes by shouting as loud as they possibly can between the metal panels of the Kelpies. And scooting about the place. This play area is fantastic. There are a couple of parts to it. 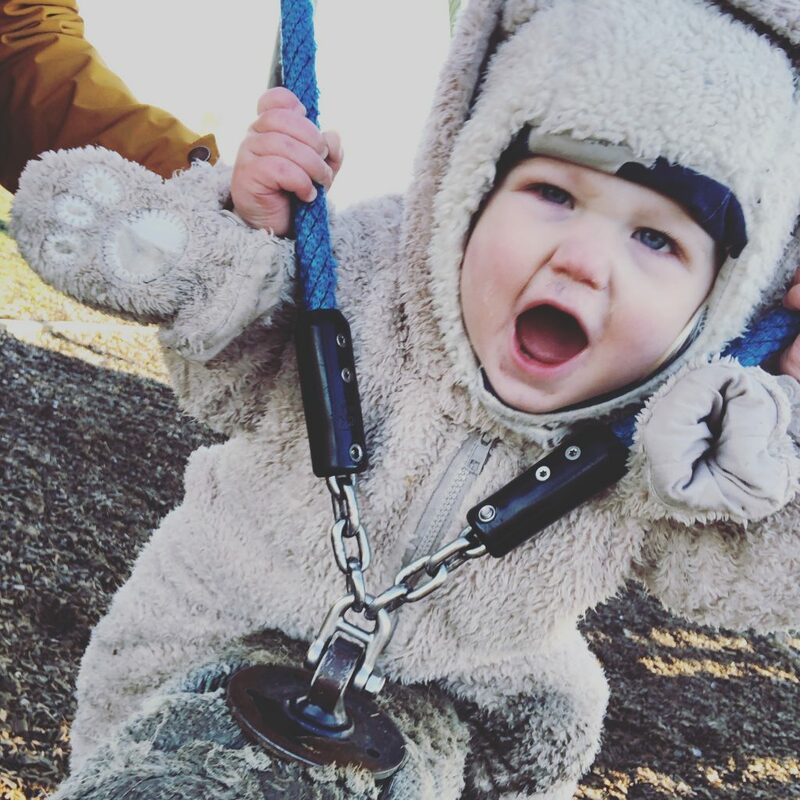 For the babies & little ones there are a couple of swings, some springy backwards & forwards animals, a wooden music box with big pedals to jump on and a couple of grounds based tunnels to clamber through. There’s also a few roundabouts and spinny things. The little lady loved it though, and could do most of it by herself this time. Her arms were just slightly too short for some of the bits. 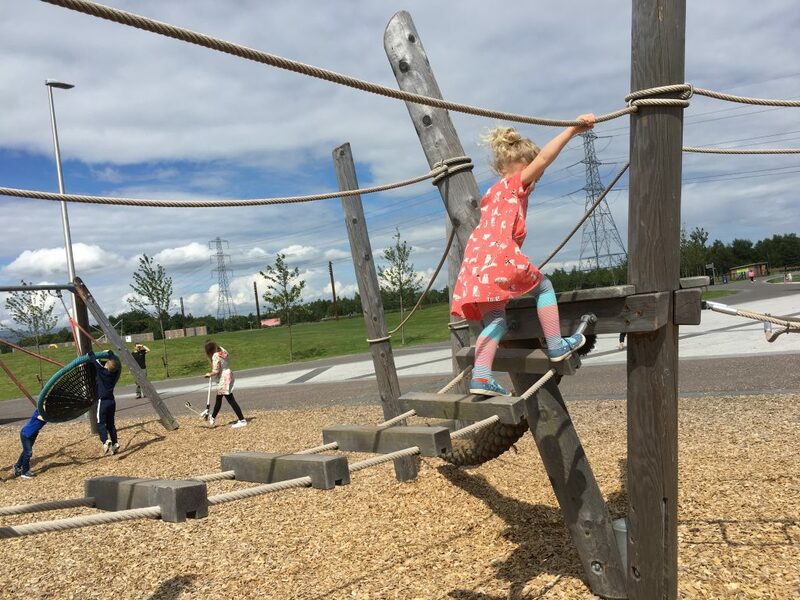 The big wooden play frame has some wobbly bridges and lots of ladders to get to the top of the pyramids where the tunnel slides begin. It gets pretty high. I was up it with the little lady last summer and it is a little bit tight getting up there. Not for the kids mind you. Only mentioning it in case any mums or dads want a go! Next to this area is a massive messy log run, with a little slide right at the end of it. This is definitely for the bigger kids. It’s not really high off the ground, but it is pretty tough and takes a lot of balance and climbing to get along it. 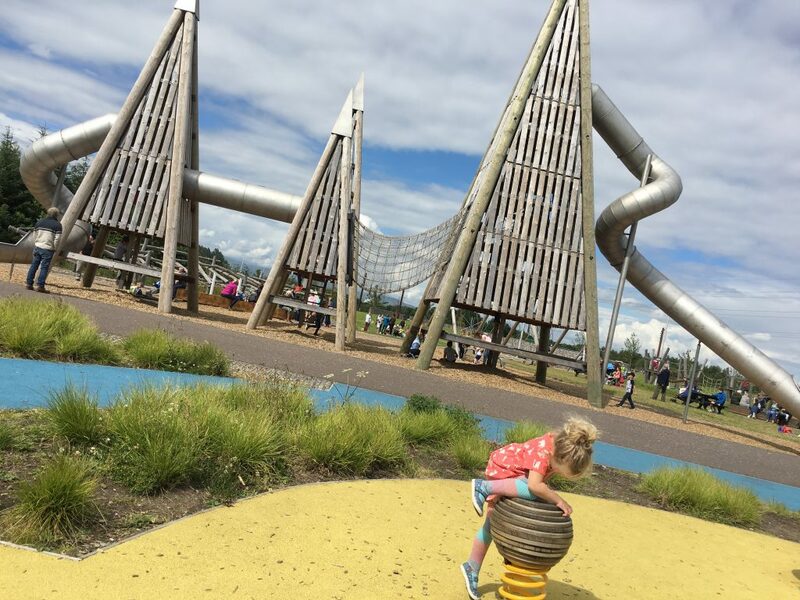 Although it does have a few bits for little kids, I would say that this is a proper adventure playpark so it’s great for slightly older kids too. Some of it is pretty difficult. The little lady wasn’t happy going up the big play frame when we were there in autumn last year (she was just 4 then). The other day she loved it. It probably depends on what your kids enjoy doing. 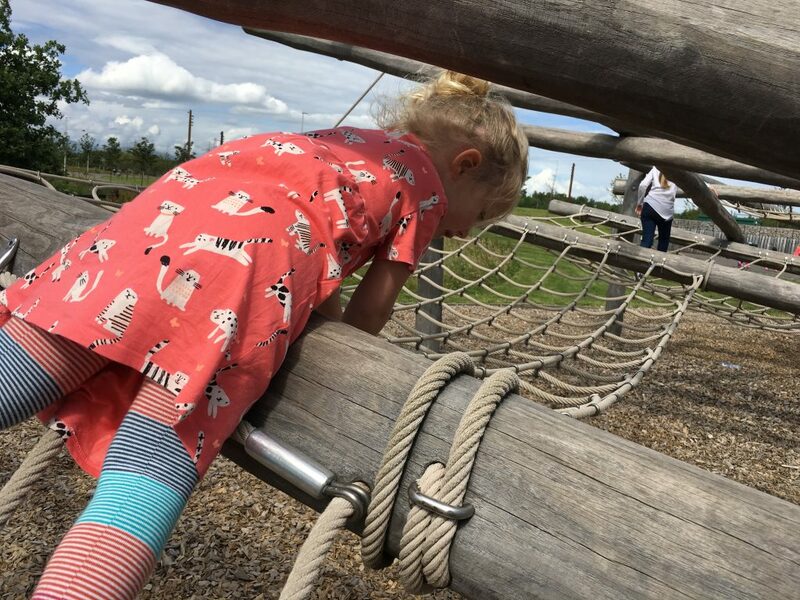 The little lady is a climber, and she really loves an assault course. Just behind the play area is a big rectangle full of water squirters coming up out of the ground. Great for running around on a sunny day! It wasn’t on when we went in February so I think this must be a warmer weather feature. There are walkways alongside the canal and through a little bit of wetland area. There are some bridges (all new and very modern) through the wetland area, past the pond. 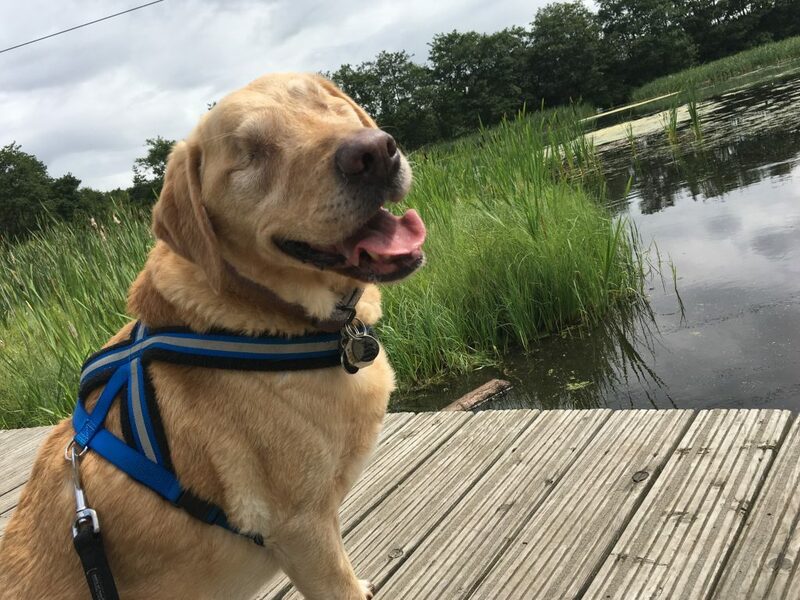 The pond has lots of birds in it which delighted baby boy – swans, ducks and various other birds to quack at regardless of their species. It’s very pretty. The Helix park is completely paved (or wooden walkway) and it’s all flat. It’s also very well maintained. So the whole thing is very wheel friendly. 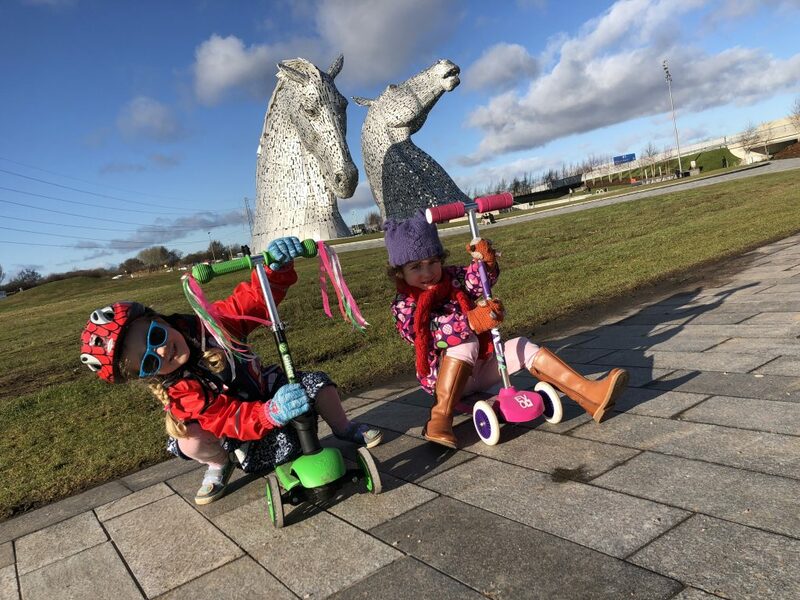 We always take the scooter so the little lady can scoot between the Kelpies and the playpark. This makes life a lot more pleasant for me! Beside the Kelpies is an (indoor) cafe and a big outdoor food & drink hut. The hut serves food from the grill, hot and colds drinks, and really delicious ice cream. The Cafe serves up regular cafe fayre like baked potatoes, mac & cheese, pies, soups, a selection of sandwiches and salads, plus some kids boxes. Honestly, the food is pretty average in the cafe. The last time we went, I wanted to go inside because it was cold. But I’d probably bring a picnic in future. There is also a food and ice cream van next to the play area. 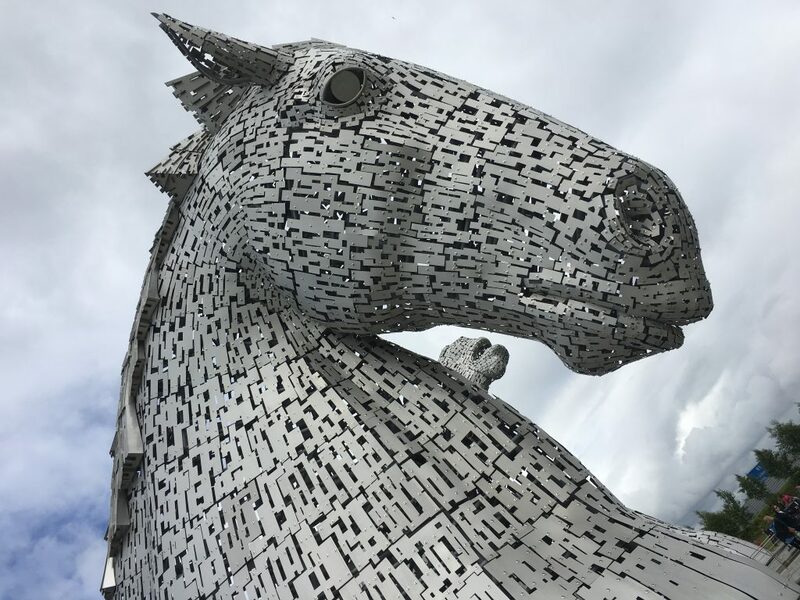 There are two car parks when you get into the Kelpies Park. The first one you come to, on your left, is free to park in. The one right next to the Kelpies has a charge (of maybe £5 I think) in peak season. There is a lot of water around. 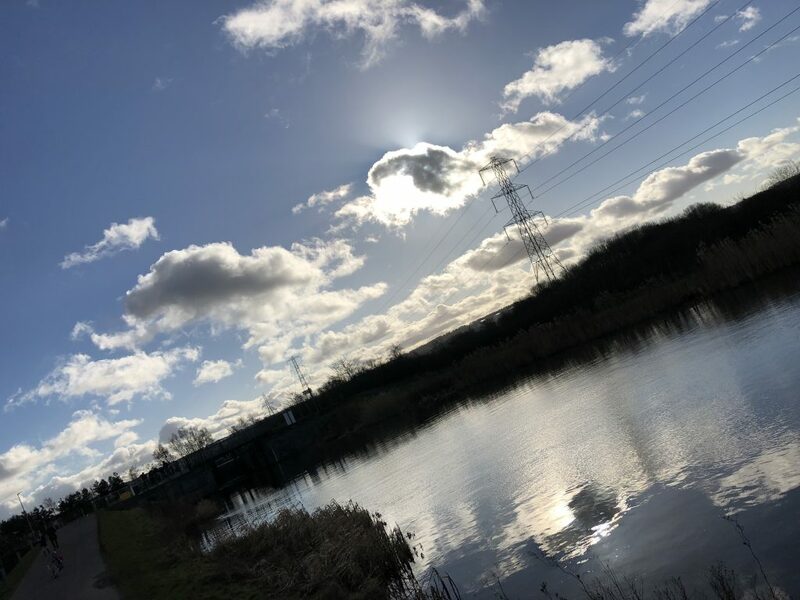 There are canals, water features around the Kelpies, ponds and a big Loch. So, you know, definitely take heed of water safety. 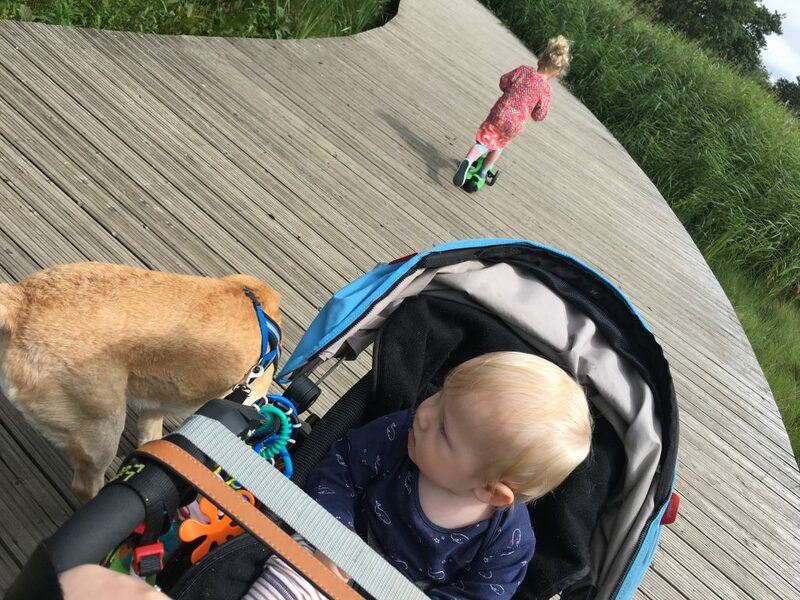 If my little man was going to be out of the buggy around the Kelpies I’d need some sort of leash for him, because he is a runner. A fast runner, with no sense of danger in the slightest. 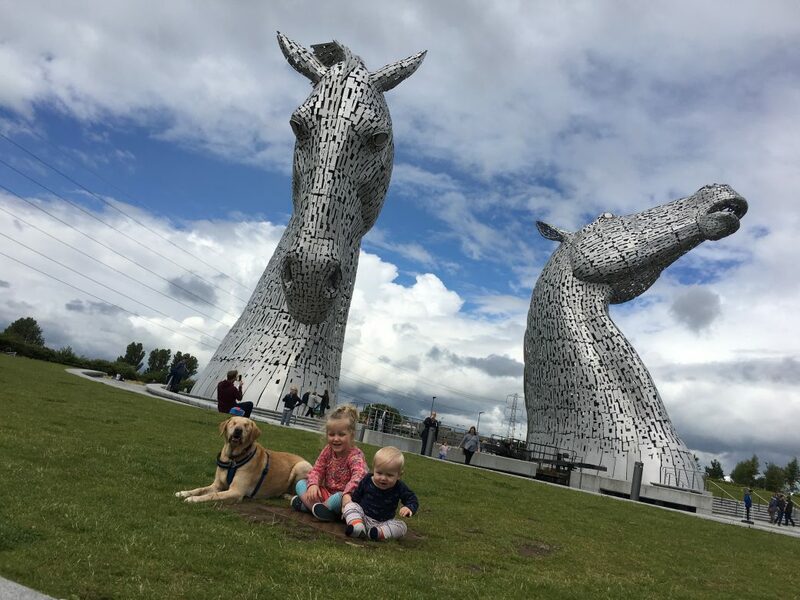 I really enjoy a trip to the Kelpies, and the kids do too. For me it’s because it’s outdoors, it’s free, and because the Kelpies themselves are just beautiful. For the kids it’s because they get to play in a fantastic, well-maintained playpark and have the freedom to scoot about and play somewhere a little bit different. The Kelpies are located within The Helix park in Grangemouth, Falkirk.